APT Auto Parts - APT Auto Parts: Providing quality Auto Body Parts throughout Vancouver, BC and Canada. Acura, Audi, BMW, Buick, Cadillac, Chevy, Chrysler, Dodge, Eagle, Fiat, Ford, Geo, GMC, Honda, Hummer, Hyundai, Infiniti, Isuzu, Jeep, KIA, Lexus, Lincoln, Mazda, Mercedes Benz, Mercury, Mini, Mitsubishi, Nissan, Oldsmobile, Plymouth, Pontiac, Porche, SAAB, Saturn, Scion, Subaru, Suzuki, Toyota, Volkswagen and Volvo. APT Auto Parts is online with many insurance companies, providing parts that fit the highest quality standards in the industry. To provide you with quality service, all of our phone reps have over 5 years experience in the aftermarket auto body parts industry. We also carry a wide range of CAPA & NSF certified parts that fit the best standards in the industry. 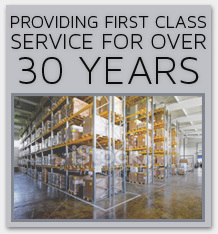 We offer free delivery to the surrounding area of our warehouses, and can ship anywhere in Canada. Set-up an account with us today!